The song comes off the band's eagerly awaited debut album, »Souvenirs«, on November 6, 2015 via Arising Empire. »Souvenirs« was mixed and mastered under the masterful watch of NOVELISTS bass player Nicolas Delestrade (BETRAYING THE MARTYRS) at NDSE Recordings and will feature guest appearances by Pierre Danel (KADINJA), Lotti Holz and Plini Roessler-Holgate (PLINI). Find the cover artwork created by the band's gifted guitarist, Charly Kelevra, below. 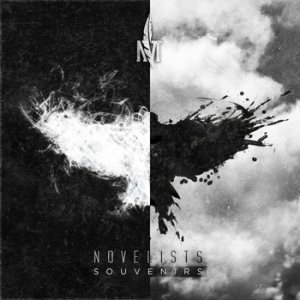 NOVELISTS will be touring heavily in support of their upcoming debut release. Scroll down for a full list of current live shows. More dates to be announced soon.